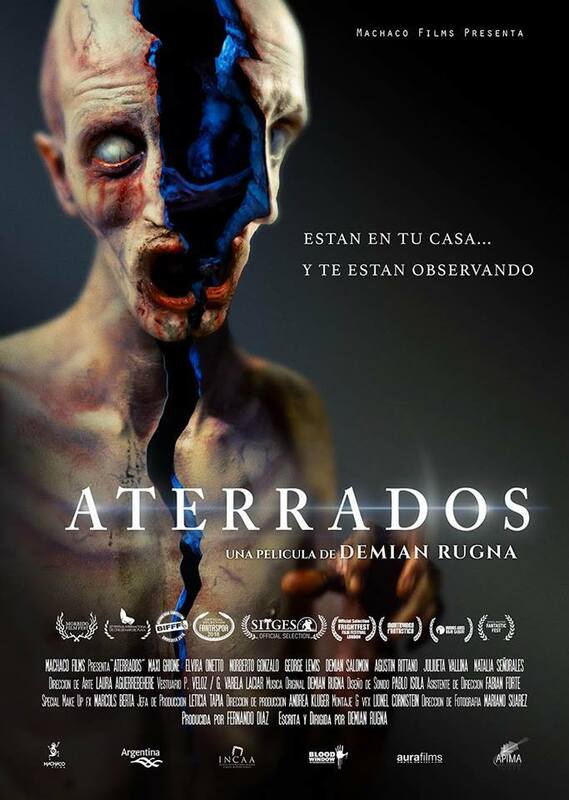 Strange occurrences bring three investigators to a sleepy suburban neighborhood in Buenos Aires in search of paranormal evidence of a strange phenomena. The set up sounds mundane, I know, but the ensuing chaos multiples the dread, consistently delivers scares, and the horror it delivers veers well off into bizarre territory that evokes movies like Insidious, Event Horizon, and In the Mouth of Madness. This is one efficient, tension-filled horror movie that hits the ground running from the very first scene and does not let you catch your breath. As the gruesome events mount, you never have a chance to consider all that is happening and like many unexplained mysteries much is left in the dark. The film is plot centric with very little character development and the story at best can be described as thin. You will need some imagination (it knows what scares you) to fill in the gaps. None of this however spoils the otherworldly atmosphere the movie creates, aided by the marvelous cinematography, unique sound design, and perfectly timed practical effects. I can only hope this is a first entry to a series of films. They seem to have so many sights to show us. As a “Shudder Original” it’s tied to the streaming service and wonder if it has a chance to beget a cult following. For starters, it won the best horror feature at this year’s Fantastic Fest. and Bloody-Disgusting.com reported last week that Guillermo del Toro is producing an American remake of the film. 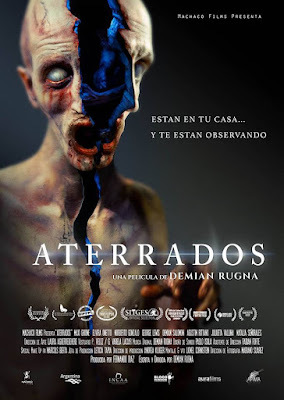 Don’t let the Spanish language stop you from seeing Terrified now. No American film will ever recreate two particularly effective but disturbing scenes here – I can practically hear the pencils snapping in two at the MPAA.